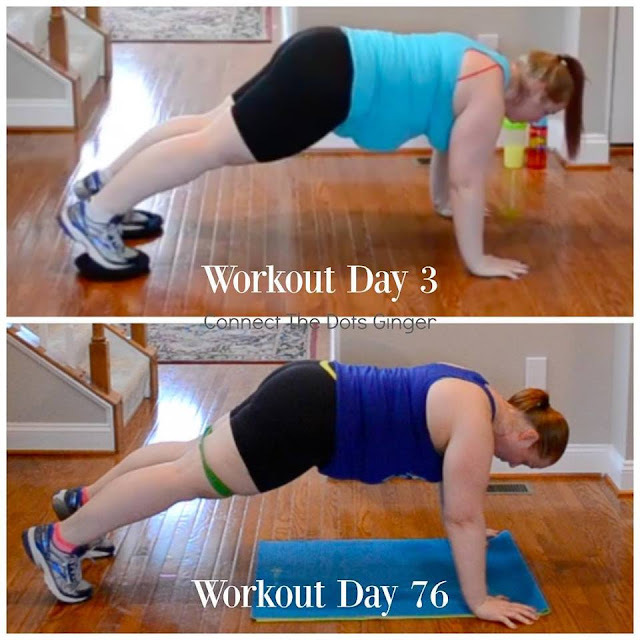 I remember on day 3 I was shaking and struggled holding a plank position and thinking in this very move, “WHAT THE HELL WAS I THINKING OF DOING THIS PROGRAM!!! This is hard and I will never finish!” Here I am just a day away from completing the program! I have come so far. I don’t struggle like I used to holding a plank. I actually look forward to my workouts. I love sharing about it and helping others start this amazing journey. I have gotten so much stronger mentally and physically. My body has changed for the better and I am doing this. Real change can happen in just a few months time when you are consistent. It's so easy to measure your progress by the scale alone, but that scale is a BIG FAT LIAR! If you are feeling frustrated in your journey, just think about how much stronger you have gotten. This is why I take video and pictures. So I can literally see the changes!